You are at:Home»Digital»Amazon’s Advertising Strategy: A Learning You Shouldn’t Miss! Is Amazon taking over the world? It wouldn’t be wrong to say that the majority of us are spending merely half of our paychecks on Amazon. Be it Amazon Prime, Alexa, Kindle, Fire TV or Echo. Whether it is stocking up on paper towels, cleaning supplies, random kitchen products or ordering your favorite snacks in bulk, it is hard to resist the convenience or affordability on Amazon. If you aren’t an Amazon shopping fanatic, your customers likely are. There are more than 300 million Amazon users. It is important for brands to understand the incrementality of each click and then optimize their bids. Amazon isn’t an e-commerce fad, it has grown exponentially over the last decade. Only a few have comprehended Amazon’s focus on chasing profitability. To boost profitability, Amazon is shifting its model from retailer to a marketplace. Amazons’ advertising division is flown under the radar so far. For the first time in its history, Facebook publicly acknowledged Amazon as a direct competitor in the advertising world in its last earnings call, and it has good reasons to be scared. 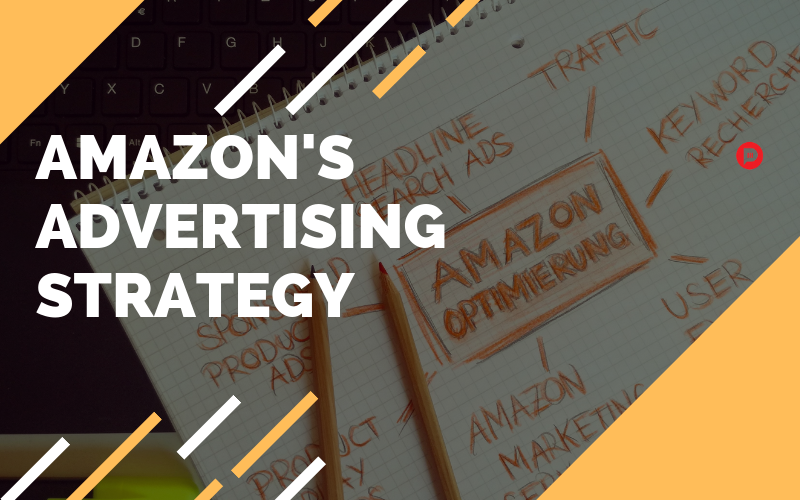 This demonstrates the growing importance of Amazon in digital advertising dominated by the two giants, Google and Facebook. At the utmost basic level, Google is a search engine, Facebook is a social network and Amazon is an online marketplace. On Google and Facebook, people are searching for something not always a product albeit. When you click on an ad on Google or Facebook, attributing the impact of that click on sales is still difficult, but when you go to Amazon you go with a clear intention of buying products and when you click on a sponsored product ad on Amazon, you land on the product detail page with a big check out-box. And eventually, you may land up buying the product. The attribution is clear because it is a closed system. Another fundamental difference is the interplay between the marketing spend and organic search results on Amazon. That one click on an ad can not only impact an immediate paid sale but can also positively turn, accelerate and improve your organic search ranking. So brands are strategically buying paid placements to grow organic search ranking on consumer searches which can dominate page one for a long period without the need for increasing the ad budget forever. Advertisers should be willing to pay more for a click to convert a net, new customer, into a sale than to a click where the consumer has already made up his mind to buy the product. Advertisers should be spending less on search terms and invest in searches where the organic presence is low. It is important to ensure that brands have the profitability of investments in mind. Why chase a highly expensive search term and engage in a bidding war with competitors when you can identify a bunch of long tail inexpensive search terms and own them programmatically. Amazon is clear in its priorities. End customer will always be satisfied, followed by growth and profitability. Their investments in the advertising business are in the higher margins, a way to improve the profitability of its retail operations. But they do not lose customer focus even in advertising by ensuring that products with good conversions, minimum ratings and reviews, and relevancy get preferences. Brands need to cut on wasteful ad dollars and reinvest them in high growth opportunities to drive increased sales in the long run. Previous ArticleTop Social Media Updates of 2019 you Need to Know!